Add the mushrooms and stir fry for a minute. Add the prawns then continue to stir fry for one more minute. Add the asparagus then stir fry another minute. 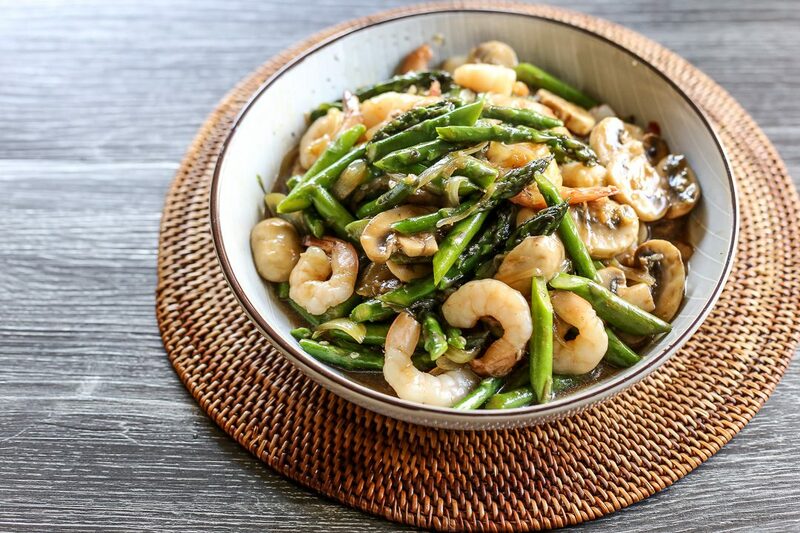 Pour the oyster sauce and fish sauce, toss to coat vegetables and prawns evenly. Then cook until asparagus is a vibrant green colour but still tender and crisp. Add a bit of water if it dries out. Season with ground white pepper then serve.